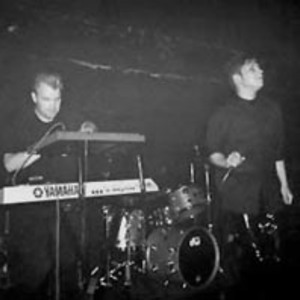 Neuroactive is a synthpop/futurepop/EBM act from Finland. The prime mover of Neuroactive is Jarkko Tuohimaa. Neuroactive was formed in 1991 by Jarkko Tuohimaa, Ville Brusi, and Vesa Rainne. Signing their first album, Morphology, in 1994 with Cyberware Productions, the group went on to produce Phonic Trace in 1997. Shortly thereafter, Brusi and Rainne left the group and Kimmo Karjalainen came on board to sing for two albums (Fiber Optic Rhythm, Transients). Following Kimmo's departure Jarkko has been working with various guest vocalists. Neuroactive was formed in 1991 by Jarkko Tuohimaa, Ville Brusi, and Vesa Rainne. Signing their first album, Morphology, in 1994 with Cyberware Productions, the group went on to produce Phonic Trace in 1997. Shortly thereafter, Brusi and Rainne left the group and Kimmo Karjalainen came on board to sing for two albums (Fiber Optic Rhythm, Transients). Following Kimmo's departure Jarkko has been working with various guest vocalists. Neuroactive signed with A Different Drum in 1998, and continues to release material under that label.